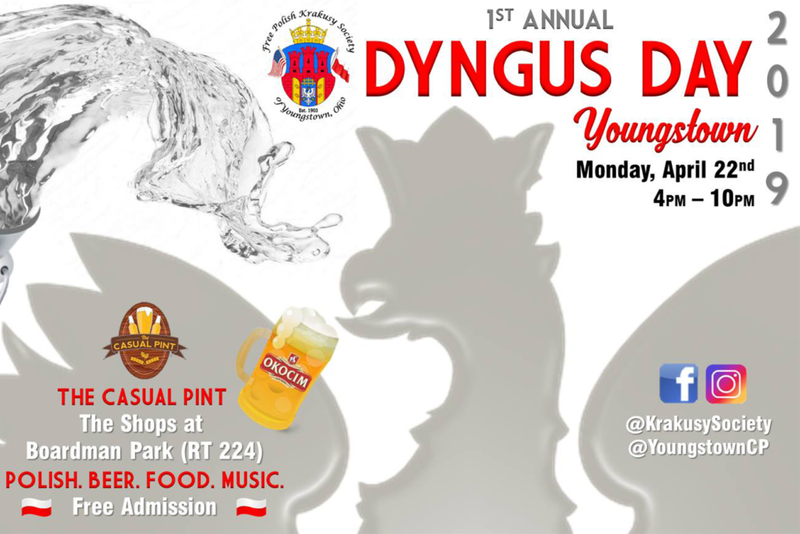 Join the Free Polish Krakusy Society and Casual Pint for the 1st Annual Dyngus Day Youngstown festival. Come enjoy an Okocim Beer on draft, homemade Polish food and Polish music! Dyngus Day (Śmigus-Dingus in Polish) is the name for Easter Monday. Traditionally a Polish tradition, Dyngus Day celebrates the end of Lent and the celebration of Easter. You don’t have to be Polish to enjoy Dyngus Day. Rather, consider yourself Polish for the day and join in on the fun.